Give your pool a 'new look'. 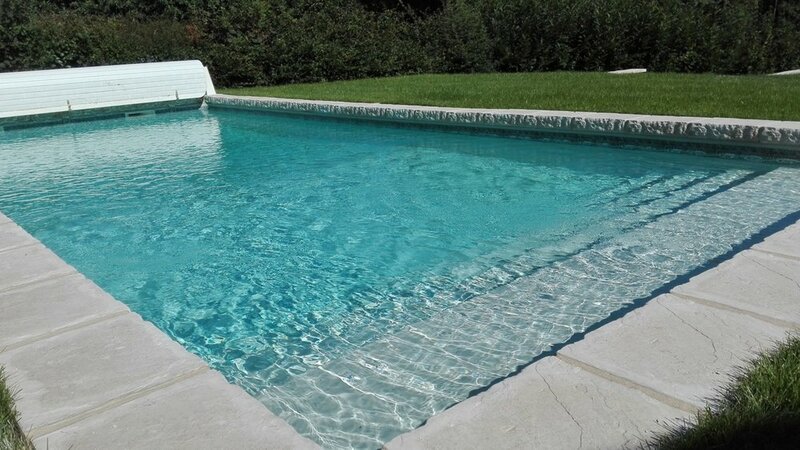 You can give your Swimming Pool a new look simply by replacing your liner. Through our suppliers we can offer a large selection of colours and patterns - blue, sand, white, grey, green, there is a huge variety to choose from. The liners are 75/100 thick and are made from very durable P.V.C, installed on a layer of anti-bacterial felt and guaranteed for 10 years. Many older Swimming Pools suffer from poor initial terrace installations which over the years result in loose slabs, sunken terraces, etc. At ProjetPiscine we lay our terraces on a raft of steel reinforced concrete tied into the swimming pool structure ensuring there is no movement. We can also renovate tired timber decks using new decking or composite decking to your choice.